Surrounded by vineyards and orchards, Naturno/Naturns is just a 15-minute drive from our Hotel das stachelburg. With a population of about 5,000, this vibrant rural center near Merano/Meran is bordered by the verdant Nörderberg mountain to the North and the arid South-facing Sonnenberg mountain, where the sun shines for over 300 days in the year. This dry mountain area enjoys the least amount of rainfall to be found in the entire Alps. Yet these stark climatic conditions have also helped to make Naturno and Parcines/Partschins a choice tourist destination for mountain biking and hiking. 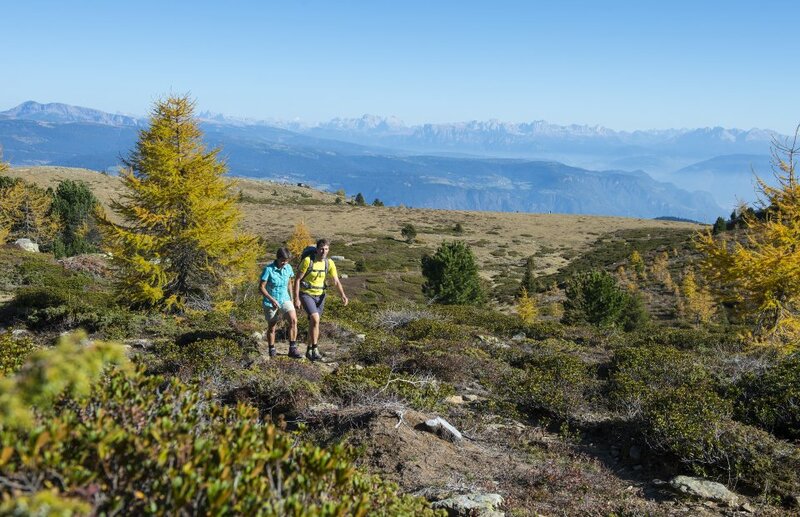 The numerous sports facilities in and around Naturno attract holidaymakers in search of outdoor activity options including hiking and mountain biking trails, tennis courts, swimming pools, a Nordic walking course, a paragliding club and a white water rafting school. Besides the nearby Schnalstal Valley Glacier Ski Area, these are an example of the sports facilities on offer. Those more inclined towards arts and culture can visit the Church of St. Prokulus with its internationally renown 8th Century frescoes and museum annex.